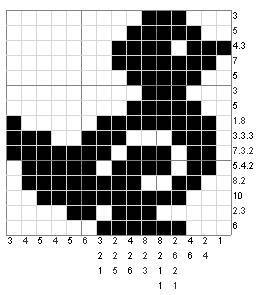 Welcome to www.picross.co.uk, the home of the Picross puzzle! 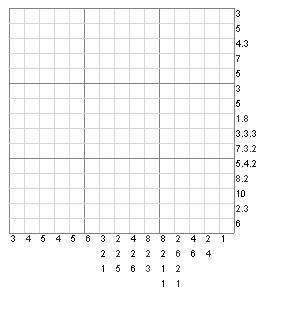 Here you will find some great quality free Picross puzzles to print out and play! Nonograms, griddlers, picross, call them what you will(!) - the puzzles are grouped into three levels of difficulty - easy, moderate and hard. Have fun! Browse our unique selection of Easy Picross Puzzles! Great for that quick morning coffee break - when you don't have much time to spare! Want a bit more of a challenge?!!! Try this nice selection of free Moderate Picross Puzzles for the seasoned picross gamer - great for when you have a bit more time to relax. Still hungry for more?! Try our special selection of Hard Picross Puzzles for the toughened puzzler - some real mind benders that will keep you busy for hours! Check out our selection of Picross Books from Amazon - top notch reading material and great for taking on the bus, plane, holiday and basically anywhere really! If you have any questions or comments on this site, please contact us at webmaster@picross.co.uk. World of CryptoPics- nice selection of online nonograms and downloadable software for generating, playing and editing your own nonogram puzzles! You can also find a free Word Search Creator and Free Wordsearch Puzzles at Word Search World. They have some nice puzzles like a Halloween Wordsearch and a Christmas Wordsearch. For sudoku style puzzles, try our sister sites featuring thousands of free samurai sudoku and wordoku puzzles, and our quick crossword solver! If you fancy listening to some music online while you puzzle, try out FolkLaw - the fantastic acoustic singer-songwriter style music of Nick Gibbs - its the folk-music of tomorrow - top notch! This website is free with thanks to our sponsors. If you would like to sponsor this site or place an advert, please contact us on webmaster@picross.co.uk.